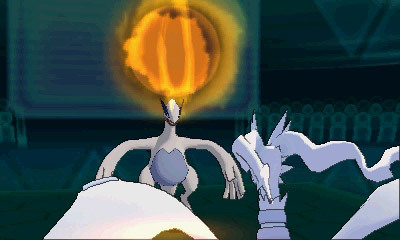 In previous Pokémon games, games across the generation had full compatibility for battles and trades but, with Pokémon Omega Ruby & Alpha Sapphire introducing brand new moves, abilities, items and Mega Evolutions, things have changed and compatibility between games in the same generation has become a lot more complicated, especially as there will be no patch for Pokémon X & Y. While most online features of the game such as O-Powers, Shout-outs and Holo Caster are unaffected, Battles & Trades have got some major changes. Online and wireless battles in the games remains exactly the same as before. While between Pokémon Omega Ruby & Alpha Sapphire games you can do and use anything, when you connect with players of Pokémon X & Y, there are several restrictions. Essentially, you cannot use any of the new Mega Evolutions, new moves and new abilities in battle against these players. The game will inform you as you select your team whether or not it can be used. ΩR/αS League: Open only for players of Pokémon Omega Ruby & Alpha Sapphire. This league lets you only use Pokémon that were caught, hatched or distributed in Pokémon X, Y, Omega Ruby & Alpha Sapphire. XY League: Open only for players of Pokémon X & Y. This league lets you only use any Pokémon, including those that were transferred from Pokémon Black, White, Black 2 or White 2. When you go to battle a player with X & Y, it will tell you that it's switching to Kalos rules. If your team doesn't comply, it will offer you opportunities to remove items and will even tell you what's wrong. 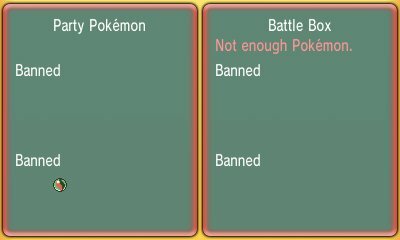 Trading is the other one of the core aspects of Pokémon and also has several restrictions. Many of these restrictions will be akin to those in Pokémon X & Y where you couldn't trade Pokémon holding the Discount Coupon online. 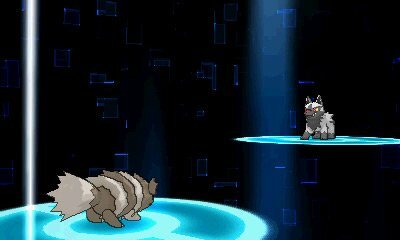 Like battling, you won't be able to trade Pokémon who hold any of the new Mega Stones over to Pokémon X & Y, but you can trade them fine between various copies of Pokémon Omega Ruby & Alpha Sapphire. You also cannot trade Pokémon who have the new moves that are introduced in the new game. At time of writing, it is not clear as to how the special PSS features of Wonder Trade and the Global Trade Station will run, whether or not they run separate servers for the two games or if there will be restrictions. Pokémon Bank is a piece of software that was introduced after Pokémon X & Y to store the various Pokémon obtained in the game. Pokémon Omega Ruby & Alpha Sapphire will contain full compatibility with Pokémon Bank at launch. As Pokémon Bank removes the items that are on the Pokémon before putting them in the Bank, compatibility isn't much of an issue. If you upload a Pokémon with a move that is not in X & Y, it won't let you shift it down to Pokémon X & Y.